Waitress Announces West End Extension! 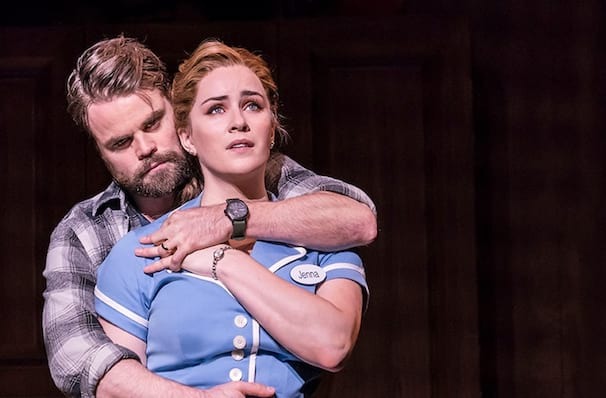 Ahead of their first preview, tonight Waitress has announced that they have extended their run at the Adelphi Theatre! The West End transfer of the hit Broadway musical is now booking through to 19 October due to phenomenal demand. and choreography by Lorin Latarro. Waitress is based on the indie film of the same name which was released in 2007 and starred Kerri Russell as Jenna. Katharine McPhee makes her West End debut in the production, reprising her critically acclaimed turn as Jenna (who she also portrayed in the Broadway run). The cast also includes Marisha Wallace as Becky, Laura Baldwin as Dawn, Peter Hannah as Earl, David Hunter as Dr Pomatter, 30 Rock's Jack McBrayer as Ogie and Shaun Prendergast as Old Joe. Suffocated by both the small Southern town where she lives, and her controlling husband Earl, Jenna longs for escape. Her only solace comes from working in the local diner, where she can practise her passion for baking. Jenna's crumbly pastries and crinkly crusts are renowned the town over, and by a stroke of luck, they might just offer her an escape route! A pie-making contest is announced in a nearby town, with a potentially life-changing cash prize for first place. Jenna realises this may be a once in a lifetime opportunity and is determined to grab it with both hands! Waitress is now in previews at the Adelphi Theatre, tickets are now on sale. View our show pages for more information about Waitress, Adelphi Theatre.